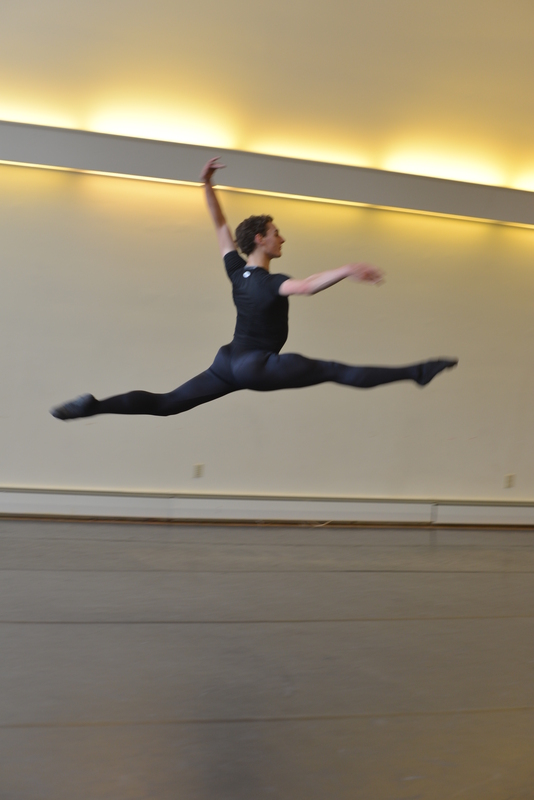 Meet talented, determined ballet dancer, Justin! Justin Valentine grew up on the mountain top, attending WAJ from grades K-4. From 4th grade on he has been home-schooled by his mom, Susan. Justin’s first exposure to performing came from Sabine Starr with the Schoharie Creek Players. The young boy discovered not only did he feel at home onstage but through acting and movement he found an outlet for self-expression that he had nowhere else. Justin’s passion was ignited soon after when he began studying seriously with Sabine. Very soon it became clear to both Justin and his mother that dance was this young man’s passion and calling. They would have to seek out a more serious schedule of trai ning. 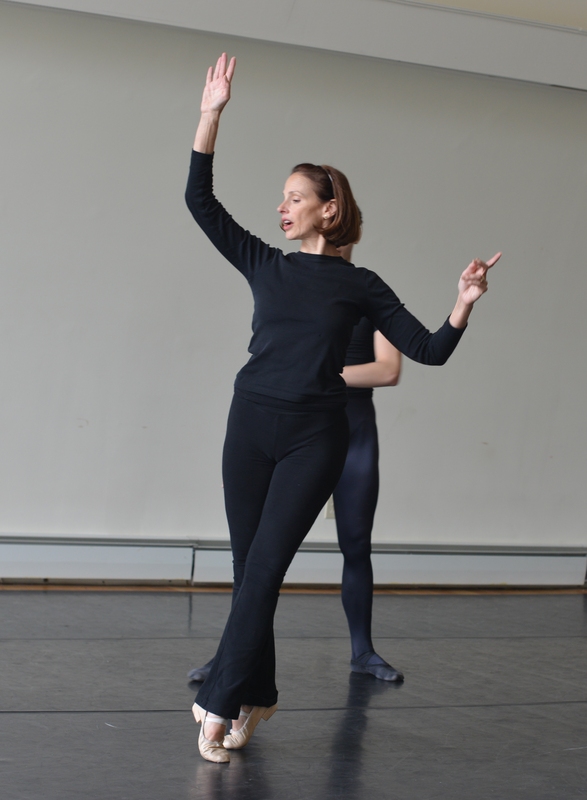 Justin’s next move was to the Saugerties Ballet Center where he studied with Scarlett Fierro and Judith Ore. It was there, in a class in Saugerties where Justin met Victoria Rinaldi who happened to be taking a class. Justin’s mother could tell Victoria had something her son needed. Victoria was quite reluctant to teach but Justin and his mother were persistent. Victoria warned them, working with her would not be a fun after school activity, it would be hard work. She gave him a class and saw there was potential. After Justin’s serious coaching started. The more a dancer studies and progresses the greater the need for more intensive training at major schools andprograms. 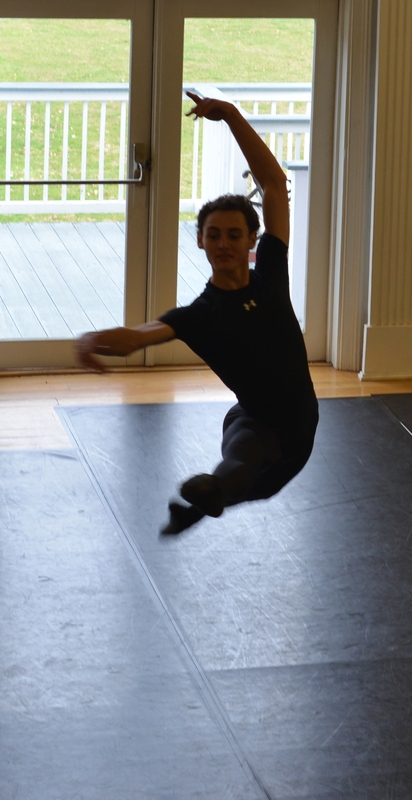 Justin auditioned and won admission to two of the most competitive and prestigious programs in the United States and spent last summer studying at the Jaqueline Kennedy Onassis school, the official school for American Ballet Theater and Kaatsban Extreme Ballet in Tivoli, NY. This year Justin is splitting his time, half the week with renowned ballerina Valentina Kozlova at the Valentina Kozlova Dance Conservatory New York (VKDCNY) and the other half of the week with Victoria right in Hunter at the Red Barn. At VKDCNY Justin has the opportunity to not only study with fantastic teachers but he is working with student who are as talented and serious as him. Justin will be competing internationally with the hope of gaining the recognition that will land him with a major ballet company in the near future. Take a Second to Meet Spitfire Victoria Rinadi. Victoria will be the first to tell you, she doesn’t like anyone telling her she can’t do something. Also, she will not put her energy into anything she doesn’t 120% believe in. Victoria didn’t come from a dancing background, but at 3 she had already decided she would be a ballerina. Most little girls outgrow their 3 year old proclamations, not Victoria. By eight she was enrolled in one of the best ballet schools in the Washington Metropolitan area. One could say Victoria was very lucky in her dance career but she also had the skill and determination to get from the start to the finish. The launch to her career was with the Washington Ballet where she had the good fortune to have renowned choreographer Cho San Ghoo set several ballets on her. Victoria knew her next move had to be to New York City. She auditioned with American Ballet Theater only to hear they wanted to see her the next season. She needed a job now so she auditioned for New York City Opera at Lincoln Center and got the job. Victoria only expected to stay at City Opera until she could get into a big ballet company but she fell in love with the magnitude and the freedom that the preforming in grand opera offered her. During her decade with City Opera Ms. Rinaldi preformed as a guest artist with ballet companies all over the world and was featured in the show “On Your Toes.” It was during a strike in 1989 Victoria ventured across the plaza to the Metropolitan Opera with no expectations but the Met had the best singer, dancers, orchestra, costumes and they offered her a full time contract. It became her preforming home for the next 13 years. It was while under contract at the Met that Victoria was invited by ballerina, Valentina Kozlova and choreographer Margo Sappington to join their company, “The Daring Project,” an elite group of soloists from major companies. This was a daunting challenge but with a combination of negotiation, creative excuse making and a few white lies Victoria managed to do both. There were nights Victoria would step off stage at Lincoln Center, jump on the subway get to the Joyce Theater 40 blocks downtown in time dance a program there. Victoria considers herself extremely lucky to not only have the career she wanted, dance with all the famous dancer of her time, but most importantly to be part of the creative process on ballets that will live on long after she retired from dance in 2002. Justin will be dancing at Symphony Space this May. Originally started as The Boston International Ballet Competition (BIBC) by Valentina Kozlova in 2011, The Valentina Kozlova International Ballet Competition (VIKBC) serves as a host for young, international talent. VKIBC has had three editions of its competition as well as one edition of its Contemporary Dance and Choreography Competition. Each competition has had a panel of international and acclaimed judges, fostering young talent while awarding high-caliber prizes in the hope to enrich the lives of dancers and their audiences. In 2015 Ms. Kozlova has combined the 4th Edition of the VKIBC’s Classical competition and its 2nd Edition of its Contemporary competition for a full week of amazing dancing and artistry. Justin also has the rare opportunity of traveling to St. Petersberg, Russia to perform during the Open Ballet Festival. Only 6 students from VKDCNY are invited on this trip, so that alone is a huge accomplishment. The trip to Russia will be 7 days long and features dance pieces that hold sentiment for Victoria. The students will be dancing in pieces from the show “For Ella,” originally choreographed by Margo Sappington originally for Elle Fitzgerald after her death. Justin will be the boy in the piece “Hernando’s Hideaway” and a song that Victoria had originally danced in during her heyday, “A Tisket, A Tasket” will be performed in Russia. This trip holds significance for both the dancer in training, Justin and the retired dancer, Victoria. Justin is going after his dream in what he doesn’t feel he has a choice in the matter, this dream is his calling and that is all he needs to feel to pursue it. Victoria feels strongly that Justin will be successful; it’s up to him to decide how far he will take his success. He is determined, driven and extremely conscientious when it comes to dancing, always sure to work on perfect techniques in areas that are in need. His story is one to watch evolve in an organic but warranted way. The Windham Festival Chamber Orchestra with 24 musicians, featuring the wind players (flute, 2 oboes and 2 horns) returned for their annual Thanksgiving weekend concert this year performing works by Vivaldi, Shulman, Mozart, Mahler and Haydn. The program included Vivaldi’s Concerto for Two Horns and Strings; Shulman’s A Nocturne for Strings; Mozart’s Concerto #2 for Flute and Orchestra; an excerpt from Mahler’s Symphony #3; and, Haydn’s Symphony #24. Here are some photos from the orchestra practicing with their conductor, Robert Manno, and a few from the successful event at the Doctorow Center for the Arts!